Bud Browne "1996 Surf Culture"
Going Surfing' 1973. Illustrated by Jim Evans. Bud came out of retirement to make his last and best film. Included footage of his classics, Gun Ho! and Cat On A Hot Foam Board. 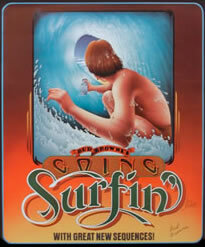 Bud Browne pioneered the surfing movie art form in 1953. He influenced generations as an independent filmmaker, shooting, directing, editing, and producing well over a dozen feature-length surfing movies. All of the top surfers in the sport were featured in Browne’s films: Phil Edwards, Dewey Weber, Corky Carroll, Buzzy Trent, Peter Cole, Mike Doyle, Micky Munoz, David Nuuhiwa, and Gerry Lopez to name a few. While early surf movies had been made by people like Doc Ball, Jon Larronde, and Don James, Bud Browne was the first person to show these films commercially. 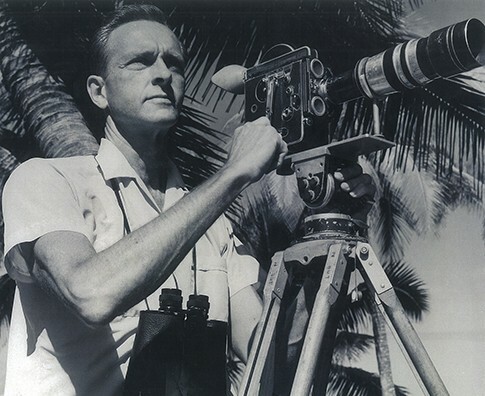 His work as a filmmaker began as a hobby in the 1940s, shooting surfers and underwater subjects in 8mm. In the 1950s, he released the first commercial surf movie and since then has devoted most of his time documenting the development of surfing in California, Hawaii, and other parts of the world. In 1947, Browne bought a 16mm Bell & Howell movie camera and began a more serious attempt at making films of surfers. He trekked to Hawaii, joined the Waikiki Surf Club, and began taking 16mm color movies. In the early 1950s, Browne attended the USC Cinema School to learn more about photography and film editing. Browne developed some interesting “tricks” and techniques for capturing some of the most amazing and unusual water shots ever seen in surfing movies. Besides using a stationary camera on the beach, and telephoto lenses to capture the action on the waves up close, he made waterproof bags for his cameras and took them into the water with him. Between 1953 and 1964, Browne filmed and released a movie each year. 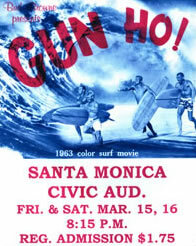 As surfing became more popular, the number of places his films were shown increased; from La Jolla to San Francisco, all up and down the California coast at school auditoriums and recreation halls. Surf shop owners like Jack O’Neill in the Bay area would also find places to rent where Browne’s films could be shown. When the sport of surfing gained international attention in the mid-1960s, there was more interest in surf films in countries like Australia, New Zealand, South Africa, France, and England. The general public became more aware of surfing although it was mainly surfers who came to see these films, and each time one was shown, the event became an esoteric, tribal celebration. In the late 1960s and early 1970s, Browne began to work with filmmakers Greg MacGillivray and Jim Freeman. They took some of the film Browne had produced and added it to their own films such as Waves of Change, Five Summer Stories, and The Surf Movie. He also contributed footage to 1978’s Big Wednesday, one of the best surfing-themed, non-documentary movies ever made.